As financial technology improves, banking services are becoming increasingly 'instant'. However, until now, payments have always been subject to a certain amount of delay. Future Banking speaks to Mark Munne and Evelien Witlox at Equens about why instant payments are becoming 'the new normal', and how they can help banks keep up with the fast-moving financial market. In a generation littered with technology advertising itself as 'direct' and 'on demand', we inevitably nurture expectations that whatever we ask a device for, it will be carried out instantly. Ask 'Siri' to do something, and she does it instantly - at least that's the promise. But, financial transfers have never really been 'instant' until the emergence of solutions such as Equens' new immediate payment service. The company has designed an end-to-end banking solution for inter and intrabank payments, as well as P2P transfers, that securely moves funds from one location to another - immediately. "With instant payments, you have a transaction that takes place in seconds, with an immediate confirmation to the buyer and the seller. And that confirmation is, in my opinion, very important," explains Mark Munne, product marketing manager at Equens. When a transaction is made where there's a separate credit factor, there is a 'buy and forget' mechanism. If a user makes an ordinary payment, they know that if those funds don't return back to their bank account in roughly two days, the transaction must have been successful. But with instant payments, the user receives an immediate confirmation that the transfer was completed without error. "And that enables a lot of scenarios for customers that are currently not covered by a regular credit transfer," explains Munne. "For example, doing an eBay or other ecommerce transaction - if you're selling a used bike at the weekend, or upgrading your smartphone minutes on a Thursday evening." If you take that further, you can see the difference in more high-value traditional-use cases. If you're paying for the cargo of a ship that's waiting in the harbour, you can now do that on a Sunday morning and the ship can sail away with the payment complete." International transport is a sector in which the economy needs to keep running on a 24/7 basis and immediate confirmation of funds is vital. Where, currently, transactions are being carried out in cash, using credit cards or via expensive processes such as letters of credit, instant payments offer a much faster and more convenient alternative to these methods. For this, Equens stands out in the financial industry as an end-to-end service provider, where most firms can only provide the clearing and settlement mechanism (CSM). An obvious query though is whether instant payments can be considered entirely safe and secure. A confirmation message to eliminate 'buy and forget' behaviour is all very well, but with no window within which to cancel a transaction, are consumers adequately protected? For Munne, the answer is a double-edged sword. "On the one hand, if you take a look at the current way batch processing works, there is a space of 30 minutes to an hour in which you can actually intervene and cancel or refund a payment," he says. "With instant payments, that doesn't exist anymore. The transaction is credited instantly to the other customer and they can immediately go away with the money. So you need to design this process in a different way." Consequently, Equens has closely analysed credit transaction processes and how to verify transfers with methods other than 'blind knowledge'. As an instant payment usually happens within seconds, Equens prioritises the real-time documentation of a transaction so there can be no dispute as to where or when money has travelled. "And if you zoom out a bit, and look at instant payments as an alternative to, say, cash, there is of course a very big benefit," says Munne. "With the ability to do a transaction digitally, I don't have to carry cash anymore. So for society as a whole, it's actually a lot safer to have that digital set up, rather than carrying a big wodge of cash around." As personal banking moves increasingly on to mobile platforms, banks open themselves up to new partnerships, allowing third-party companies to seek interaction with the customer and be the first to intermediate between banks. 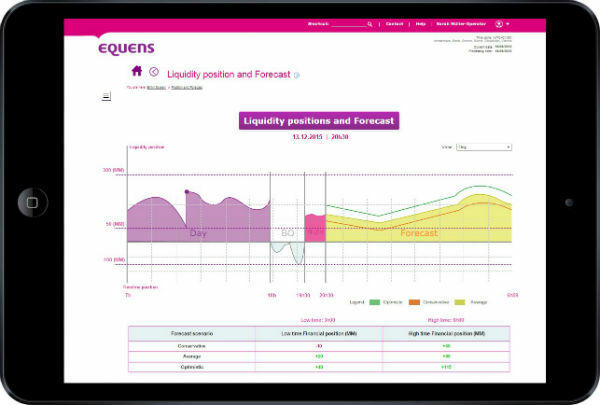 "It will be very interesting in the coming years to see how that will evolve and what solutions both parties will bring," says Evelien Witlox, Equens' general manager product management and innovation. An important and defining feature of Equens' business model is the close attention they pay to the demographics and specific requirements of the communities in need of instant payments. "For example," says Munne, "in the Netherlands, this need arose because of merchants working over the Easter weekend - all transactions made on the Thursday evening were only paid out on Tuesday morning, so there was a four-day gap between making the payment and the funds actually arriving in the account." On a broader scale, Equens is also aware that there's a big drive towards standards in financial services, such as the ISO 20022 standard (electronic data interchange between financial institutions) and the new EPC SCTinst rulebooks. "You've got to have a solution that on the one hand adheres to the European standard, but on the other hand is flexible enough so you can actually tap into the specific requirements of that community," Munne continues. But how quickly is the banking and financial sector as a whole catching up to this idea that instant payments are a solution that can optimise meeting the needs of the banks as well as their customers? According to Munne, the industry is taking notice, but securing ubiquity of use, in the same way afforded by debit or credit card payments, will only increase the appeal of instant payments. "I know that if I take a holiday to France and I go into a supermarket in Nice I can pay with my debit card, and I know that will work," explains Munne. "I don't need special cards, and I know the user experience I'll have there is exactly the same as in a supermarket in my hometown in Belgium. So we have that ubiquity in card processing already. This needs to be there for instant payments as well and that's something we still need to work on across Europe." Witlox sees the relationship between the success of banks and the success of instant payments as a symbiotic one. The instant payment infrastructure needs to be able to cope with the demands of the customer 'any place, any time'. "We believe that in order to make instant payments succeed and to maintain the current speed of progress, we need to be able to compete with what is already out there," explains Witlox. "Banks really have to face the exploding competition of the fintech companies, which are competing for the first port of call for the customer. In our opinion, there's no way around it but for banks to make sure that their customers will continue to have them as the place to go for payments." largest pan-European financial processor with more than ten billion payment transfers, a hefty boost towards keeping up with the financial standards that continue to grow and be a burden to banks' investment budgets. "What we see is banks asking more and more, 'Do I invest in my own back office or do I work with a reliable partner? '," says Witlox. "This is one of the drivers for why Equens is joining forces with Worldline - so that we have the skills to make sure our customers can be competitive in the market." Investment budgets are going to have to be carefully considered by banks looking to adopt instant payments. The amount of upgrades and redevelopment required to implement the instant payments infrastructure, depends very much on a bank's existing set up; there are banks for which implementing instant payments will be a substantial change, but many have already begun changing their infrastructure to become less batch-oriented. However, as Equens believes instant payments to be the 'new normal' with a potentially huge scope, the company has designed their new platform to integrate with the current credit transfers to allow for a smooth transition. "Managing the transition from a batch-based platform to an instant payments platform is a feature we knew would be very important to take into consideration when designing our systems," says Munne. "Implementing a new platform next to the old one and having the two operating in parallel is going to be an expensive solution in the end; you need to scale one up or scale the other one down. Being able to do that efficiently is really important." Efficiency, it seems, is the name of the game - one that Equens currently seems to be winning. "We believe we can be a very valuable player in this market," says Witlox. "We aim to make the banks and the financial players successful in their quest to fulfil the needs of their customers." 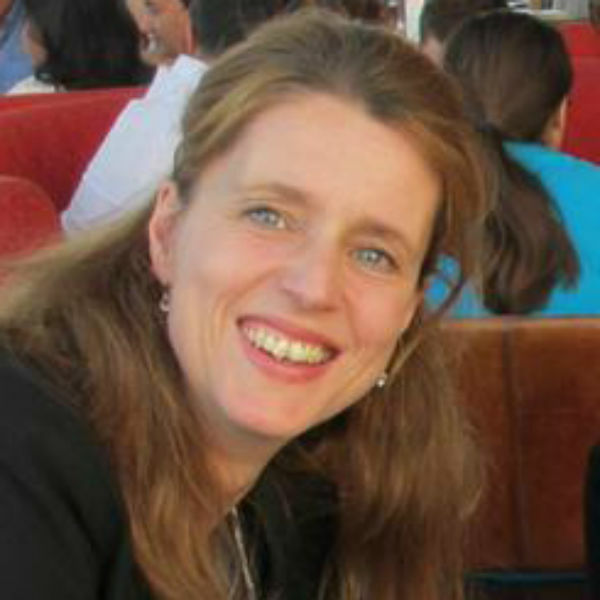 Evelien Witlox, Equens’ general manager product management and innovation. 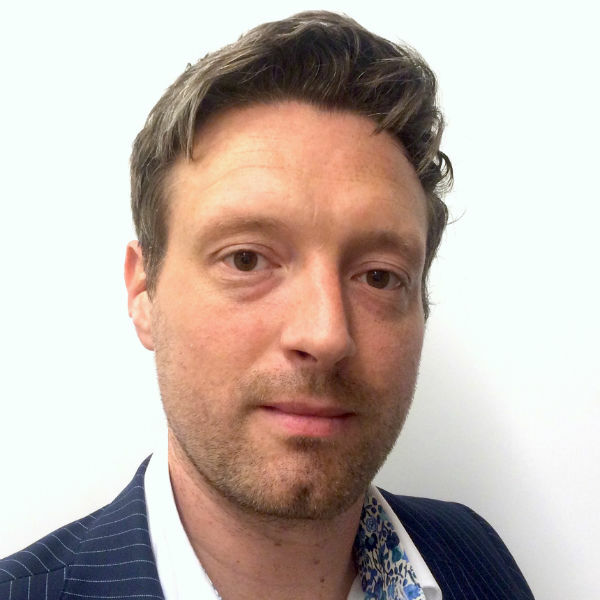 Mark Munne, product marketing manager at Equens. Equens’ systems are designed with instant payments in mind.